Imagine your customers are fish. There are lots of fish in the sea, but only certain kinds that you want to eat — or, in this analogy, sell to. Marketing campaigns are the bait that brings the fish to your hook, where they can either be tossed back or sent down the sales pipeline. Designing a marketing campaign is like choosing the right bait. You want to attract a lot of fish, but you also want the right kind of fish. Marketing campaign management software by way of CRM tools with campaign management features is like a scientific research assistant that helps you study the fish, choose the right kind of bait, cast your line so it’ll land somewhere with a lot of fish and analyze what kinds of fish you caught and how to improve next time. Basically, CRM campaign management tools can make your marketing efforts better, more targeted and more personalized. We broke down the top CRM solution providers based on their campaign design features to help you choose the right tool for your business. All CRM help manage your customer relationship, but some are more specialized CRM campaign management software and offer more specialized features. Infor CRM offers flexible CRM marketing campaign management tools for managing contacts, information, marketing campaigns and other customer relationship features. It provides comprehensive functionality for managing sales, marketing and customer service activities across the enterprise. Infor CRM lets users create and execute custom campaigns for segmented groups. These groups can be determined based on a variety of categories to maximize positive response rates. This system is suited for small to midsized businesses, mid-market organizations and departments within larger enterprises with fewer than 1,000 users. The strength of the Infor CRM product is and has always been the flexibility of the application. It has provided a framework where users can customize and mold the application to fit their business needs and strategy. The long-range goals of providing an application that can be accessed in a variety of different ways has always made this a superior product for people who don’t have a cookie cutter business. The campaign management platform features are not as sophisticated as some users would like. Campaigns can have an owner, which controls who can actually see and edit the campaigns. Campaigns can only be deployed at a global level. NetSuite CRM+ is NetSuite CRM is a complete customer relationship management platform that incorporates traditional and advanced capabilities to help businesses drive revenue and growth. It comes with a robust set of features that includes sales force automation, e-commerce, customer data management, partner relationship management, marketing analytics and more. This is a cloud-based customer relationship management solution ideal for small and midsize organizations. NetSuite CRM+ allows users to create and execute effective campaigns to drive leads with integrated marketing automation software. Users can create campaigns for email, direct mail, print ads, inbound marketing and various other channels. This crm campaign management tool ensures that campaign messages get out and delivered as scheduled to the desired target audience. It can manage, track and analyze all marketing campaigns including email, direct mail, events and multi-channel campaigns. NetSuite allows users to track campaigns using filters for demographics, response patterns, purchase trends and support histories. Once campaigns have been executed, users can constantly fine-tune campaigns and maximize ROI as they receive reports. Any lead that is created can be traced back to the source that generated it. Reviewers love the integration between the CRM and eCommerce on this platform — it is very powerful and can perform the functions of five less robust CRMs in one. Microsoft Dynamics 365 is a CRM software solution that works best for businesses using the Microsoft suite. Its customer engagement plan provides users with essential functionalities to streamline their CRM needs such as sales and marketing automation, customer service and support. It provides integrated solutions that allow businesses to track leads, automate field service, drive sales and improve operations using mobile, enterprise-ready business apps from the cloud. This CRM application a lot of value and power. The extremely broad range of implementation options provides the user’s organization with almost limitless possibilities for using the system as their CRM. 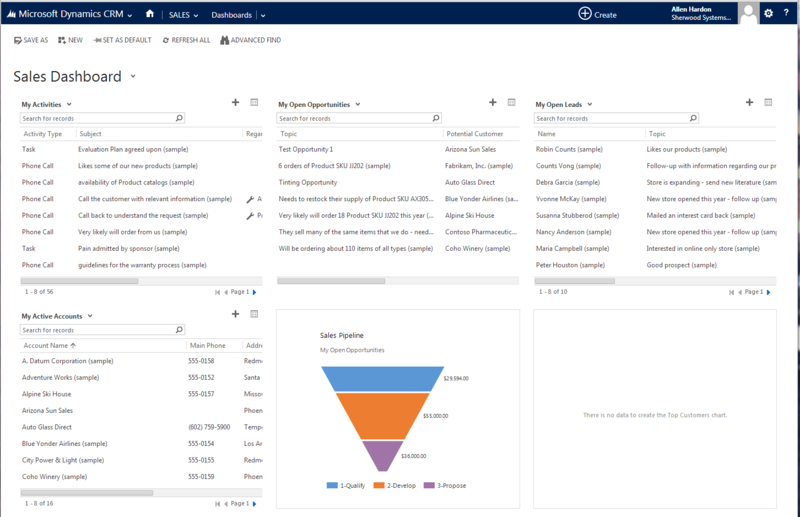 Microsoft Dynamics allows users to dramatically improve segmentation and targeting, streamline campaigns and significantly increase our lead conversion rate. Users can manage their contacts by filtering based on which campaign they are associated with. Microsoft also provides the ability to store and track campaign activity to determine effectiveness based on ROI reports. Salesforce has set the standard for customer relationship management software, creating a beautiful and easy-to-navigate system that lets you keep track of your company info and easily see how each part is organized. The Salesforce cloud is a web-based customer relationship management suite offering applications that work best for midsize and enterprise organizations and focus on sales and support. Sales Cloud is a customizable CRM marketing campaign software that grows with you. Users can get real-time customer information and activity in one place, plus insights with dashboards and reports. It’s easy to setup, easy to use and grows with your business. Use customer insights to prioritize intelligently and spend your time where it matters. Salesforce Sales Cloud executes campaigns through online or offline modes. Online modes include sending email using an email execution vendor.  Offline modes include planning and hosting a conference, running print or radio advertisements, sending direct mail pieces or hosting web seminars. Users can track which campaigns influenced a lead to further action, and multiple campaigns can be associated with individual leads. This solution tracks ROI on each campaign and delivers them in manageable reports. The application can also organize campaigns into hierarchies for easy analysis of related marketing tactics. SAP CRM is a comprehensive client management solution with built-in sales automation, marketing automation, customer support, help desk and channel management capabilities. This campaign CRM solution offers a multi-deployment architecture that supports both on-premise installation and cloud hosting. SAP CRM is a modular solution comprised of multiple integrated modules. 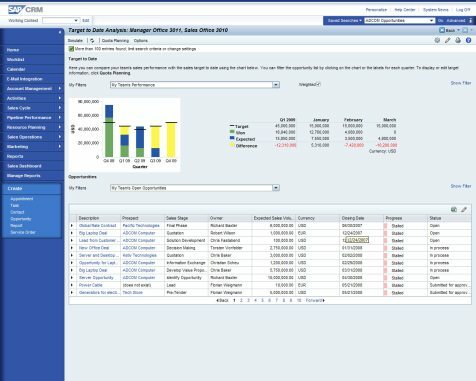 The sales module helps companies acquire and retain new business and manage their sales pipeline. The marketing module is designed to develop, execute and manage effective marketing campaigns, and to score and nurture leads. With SAP CRM, customers can quickly and easily leverage enterprise-grade email marketing capabilities, including sophisticated campaign management, high-volume delivery and advanced targeting. This CRM’s campaign management feature controls the complete marketing campaign process, including design, execution, coordination, optimization and monitoring. Users can utilize first-party customer data to implement targeted marketing. SAP CRM allows users to perform more effective target marketing using real-time analytics and discovery tools. SAP provides the option to scale up personalized marketing messages with the power of machine learning. This campaign management system offers in-depth insights, multi-touch attribution and data visualization to improve the results of your marketing campaigns. Users can analyze the success of all marketing activities in order to improve the effectiveness of marketing efforts. Pega CRM is a complete campaign management CRM tool that provides live reporting and a mobile compatible platform that enables you to view reports as well as modify accounts on the go. Pega CRM Solution comes in multiple integrated packages that are fully scalable, allowing your Pega CRM solution package to grow along with your enterprise. Pega constantly upgrades their products and keeps up with the changing needs of the market and their customers. Pega CRM also offers end-to-end automation and real-time artificial intelligence capabilities to drive insights around customer engagements. Pega CRM software creates and delivers highly targeted and personalized messages. The solution also measures campaign performance such as click-through in an email campaign. This solution offers options for targeted marketing and filtering leads to design and deliver targeted marketing campaigns. Their Predictive Analytics Director enables marketers to anticipate customer behavior such as offer uptake and risk when designing marketing strategies. Pega CRM’s marketing feature provides tools to recognize and analyze customers’ behavior and suggest the next best action for each customer. This “next best action” feature guides marketers to take the action that is most likely to get results for individual clients. Pega also offers a tool for creating predictive models from existing data to forecast sales and enable machine learning to make the whole system smarter. SugarCRM is a powerful customer relationship management platform built to empower businesses to track and manage online communications with customers and leads. SugarCRM is highly customizable and integrates with numerous third-party software. It also has an open application programming interface (API), a mobile software developer kit (SDK), and responsive mobile apps for Android and iOS smartphones and tablets. SugarCRM offers comprehensive customer relationship management tools. The extra sales and marketing features are helpful in tracking sales and employee activities. With the mobile app, users can interact with their clients regardless of where they are. This platform is easy to use, and being able to generate the complex reports needed for each department is definitely a big plus. Sugar Enterprise CRM can effectively develop, execute and monitor campaigns across multiple channels in a single place. Users can track email delivery, opens, click-throughs, bounce rates and opt-out stats for individual email campaigns. Sugar Enterprise CRM can qualify and track leads from multiple campaigns and automate lead assignment to sales representatives. This platform simplifies campaign design and tracking through the Sugar Campaign Wizard. This CRM tool gathers data to offer real-time activity updates and campaign analytics to track ROI. Now you have a brief overview of the top-rated CRM campaign management tools. Hopefully, you feel more educated and empowered to make a decision and choose a CRM that will help you attract and catch the right kind of fish for your organization. Choosing the right CRM solution for your business comes down to your individual needs. No two companies are alike, and the needs of a small business will vary from those of a mid-sized organization or an enterprise. Get our comparison report to make your choice easier. Did we miss any CRM providers you think should be on this list of the best campaign management software? What system do you use for your CRM needs? Let us know in the comments.